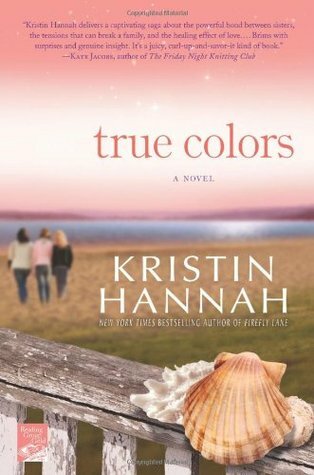 True Colours was my first novel written by Kristin Hannah, however, I’m sure that it will not be my last. True Colours revolves around a family whose ancestors were the founders of a small town in Washington State, USA, and the family is highly respected within this town. The off-spring whose lives we follow are three strong-willed sisters. All three have differing personalities, different strengths and different weaknesses, as would be found in any family. And it is the weaknesses and strengths of sisters, Winona, Aurora and Vivi Ann that makes True Colours so believable. Vivi Ann, the youngest of the trio, marries Dallas against her father’s wishes. Many of the locals were not happy with her choice of husband and made life difficult for them. So, when a local identity was murdered all were quick to point the finger and subsequently convict Dallas, who claimed innocence. I found this a thoroughly enjoyable story, just for the story itself and also because I could identify with a major section of the plot. I spent the last six years of my working life teaching in a maximum security correctional facility. Definitely a solid four star read. from 40,262 ratings and 3,078 reviews.